An Ethernet-based “smart” controller, the LEC-1 is designed to operate as a standalone unit within a galvanometer-based laser scanning system. The LEC-1’s intelligence allows you to control the unit over a LAN (Local Area Network), and store and execute jobs locally, eliminating the need for local computer control. This function translates into maximum flexibility for equipment location, increased productivity, and lower PC costs. The LEC-1 is specifically optimized for WinLase LAN Software. 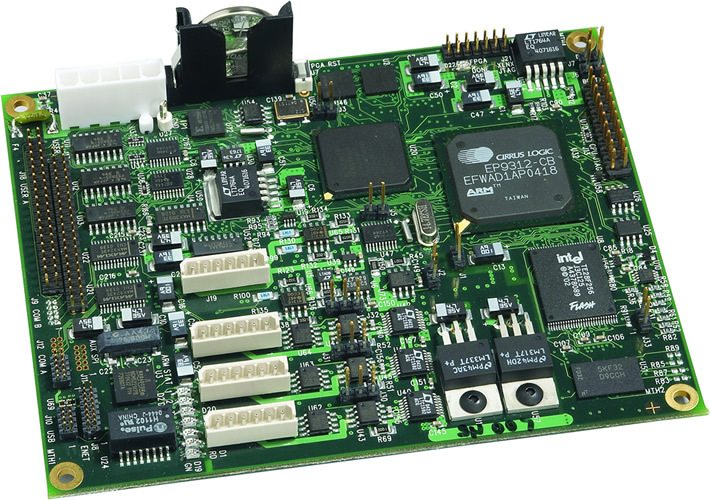 In addition, Lanmark Controls offers I/O modules that simplify access to connections on the LEC-1 control board. The LEC-1 is an electrically compatible replacement for the EC-1000.